This stone built, listed, pet friendly cottage for 4 people is in the village of Fort Augustus near to the banks of Loch Ness in the Cairngorms National Park and is home to a stretch of the Caledonian canal which heads west to Fort William. 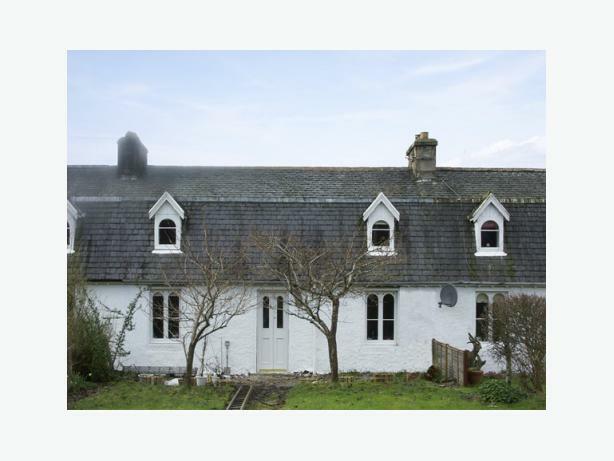 This property is a listed cottage building made from stone and in keeping with the cottage style the sitting room has a warming open fire for you to snuggle up by. The whole house is decorated in a modern but welcoming style and there's lots of light flooding into the rooms. There is 1 double bedroom, 1 twin bedroom, a generous sized bathroom with both bath and shower, an additional shower room, a modern kitchen and a cosy dining room. Stunning views of the surrounding countryside and the Great Glen Way are on offer from the windows of this delightful home. Full oil-fired central heating with additional heating from open fire in sitting room. Electric cooker, microwave, fridge/freezer, washer/dryer, table-top dishwasher, combi TV/video/DVD player, CD player, radio etc. Fuel, power and starter pack for open fire inc. in rent. Bed linen and towels inc. in rent. Off road parking for two cars.